The Master’s programme in Marine Biology takes two years and is offered by the University of Groningen in cooperation with the Royal Netherlands Institute for Sea Research (NIOZ) on Texel, the Centre for Estuarine and Marine Ecology (NIOO-CEME) in Yerseke, and the Institute for Fisheries Research (IMARES/RIVO) in IJmuiden. The Groningen Master’s programme Marine Biology is unique in The Netherlands. The curriculum has been newly revised at both the Bachelor‘s and Master’s levels to reflect the latest advances in this fast evolving field. The programme is jointly taught by the sister research groups ‘Marine Benthic Ecology & Evolution’ and ‘Ocean Ecosystems’ in cooperation with other groups in the Centre for Ecological and Evolutionary Studies (CEES) and our partner institutions mentioned above. Marine Biology is an international and highly interdisciplinary field. Students have the opportunity to custom design their study programme, which is strongly research oriented. The core consists of advanced, elective modules and by at least two substantial individual research projects. 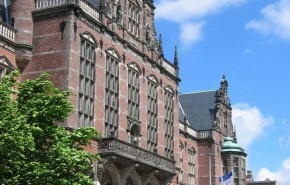 The first of these research projects must be conducted in Groningen under the supervision of the institutes involved in the programme; whereas the second project can take place virtually anywhere in the world. Additional requirements include a presentation of a literature study (colloquium) and a Master thesis. Some examples of the advanced modules include Polar Ecology & Management, Coral Reef Ecology, Marine Genomics and Global Sea Change. Students are also encouraged to follow modules being offered by other groups within CEES such as Advanced Statistical Methods, GIS, Advanced Evolutionary Ecology, Adaptation-Biocomplexity-Conservation and Phylogenetics and Genomics in Ecology. During the programme students have the opportunity to conduct research under the supervision of experienced scientists. Research may be conducted in the field, onboard research vessels and/or in the laboratory. Some examples of laboratory work include studying the influence of ultraviolet radiation on plankton, analysis of dispersal and genetic population structure of seaweeds, sea grasses, fish and invertebrates; or the molecular identification of invasive species. Field work might include studying species interactions across trophic levels in the Wadden Sea or the population dynamics of krill in the Antarctic. Whether you are interested in biological oceanography or coastal marine ecology, there are plenty of opportunities. •A Bachelor’s degree in Biology with the specialization Marine Biology or the specialization Ecology (with the modules Oceanography and Marine Biology).